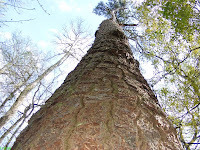 Congaree National Park is the largest and few remaining bottom land hardwood forest in North America. A short drive from Columbia the swamp park (more exactly a floodplain forest) stretches over 11,000 acres along the Congaree and Santee rivers. With its serene cathedral like canopy it is the world’s tallest deciduous forest, with trees reaching up to 170 feet (as high as a 17 stories sky- scraper! 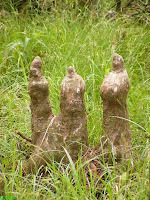 ); it is taller than famous forests in Japan, Himalaya and Europe. This natural wonder still looks as it did more than 500 hundreds years ago when early Europeans – like Spanish explorer Hernando DeSoto – came to South Carolina looking for gold, silver, precious stones and natural resources. The Congaree Indians camped, fished and hunted along the Congaree river more than 13,000 years ago. They believed the swamp was “filled with ghosts”. 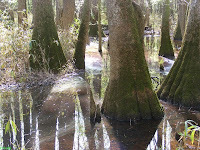 Congaree means “dragged the bottom of the boats”, an accurate description of the swamp’s appearance most of the year. During the Revolutionary War, the Congaree swamp gave refuge to Francis Marion and his patriots companions (hence his nickname: The Swamp Fox), as they repeatedly harassed and sabotaged the British troops. For its incredible biodiversity and historic importance the Congaree National Park has been designated a Natural National Landmark, an International Biosphere Reserve and Globally Important Bird area. Scientists and outdoor enthusiasts from all over the world come year around to visit and study this natural wonder. At the Congaree park you can enjoy all the usual outdoor activities: camping, fishing, canoeing, biking, walking and bird watching. Be mindful of the perennial bugs and mesquitoes so wear long sleeves shirts and plenty of repellant. 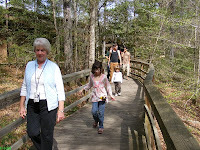 If you plan to walk the 2.4 miles self-guided boardwalk that loops around the Visitor center make sure to carry some water; there is no drinking water along the trail (you can fill up at the Visitor center). The boardwalk is suitable for strollers, bring these along to avoid some drama later on. There are about 20 stops along the trail and many have benches you can rest on. Those more adventurous canoeing along the river bring food and supplies to last 2-3 extra hours beyond your originally planned time travel. 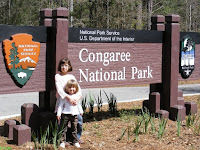 Note that Congaree National Park offers FREE ranger guided canoe tours every other Sunday. The famous Dorovan Muck, the Congaree swamp’s dark mud is essential for breaking down pollutants into harmless ingredients. 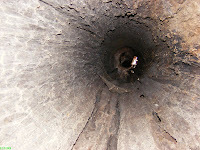 Hollow trees that house thousands of evening bats, which can consume up to 600 mesquitoes an hour. The swamp is home to 6 different bats varieties. A remnant of lucrative bootlegging enterprise…national champions the grand Loblolly pine trees…frightnening lightning marks on many trees…eerie and alien looking (as one might expect in this ancient forest) swamp…Paw-Paw and cabbage dwarf palmetto trees…and plenty of wildlife, in particular birds. See some great photos I took last weekend in this Congaree family fun slideshow. 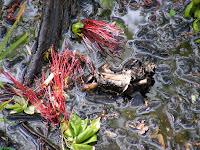 If you like spending time in the swamp you will definitely enjoy visiting the “Black Water Swamp” at Cypress Gardens north of Charleston (exit 199 on I-26). It is mosquitoes free! 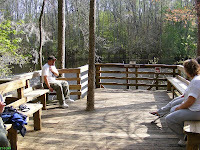 Congaree National Park is located about 20 miles from downtown Columbia, South Carolina in the Hopkins / Gadsden community. It’s open year around except on Christmas Day and is FREE. Happy family travel in beautiful South Carolina!